Thought this place could do with a smile. It's fuzzy but short. That looks like an Ovation Breadwinner. If I did that I would probably get through a few sets of strings. Clever stuff! 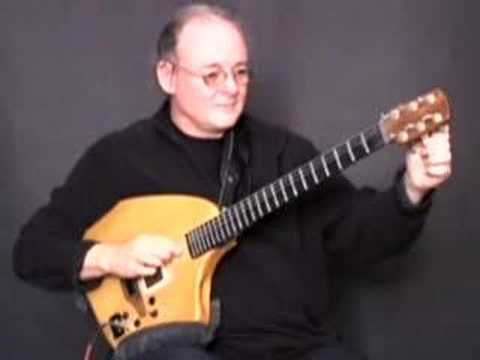 There seem to be a fair few guitarists about now who don't play the guitar in the normal/intended way - using the body as a percussion instrument, using the tuners as above - not my kind of thing as a player myself, but I have to admit the results can be impressive.